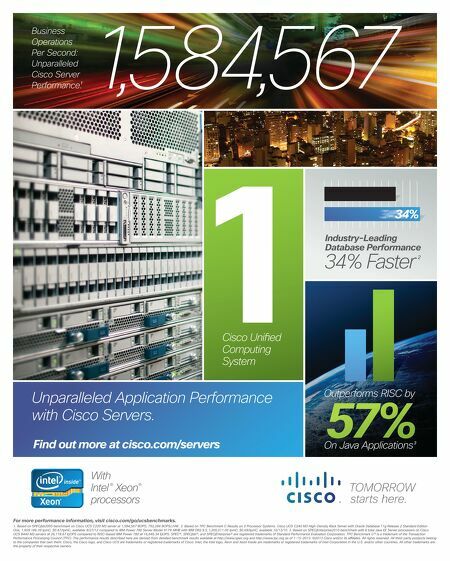 Business Operations Per Second: Unparalleled Cisco Server 1 Performance. 1584,567 , 34% Industry-Leading Database Performance 34% Faster 2 Cisco Unified Computing System Unparalleled Application Performance with Cisco Servers. Outperforms RISC by Find out more at cisco.com/servers On Java Applications 3 57% With Intel ® Xeon® processors For more performance information, visit cisco.com/go/ucsbenchmarks. 1. Based on SPECjbb2005 benchmark on Cisco UCS C220 M3 server at 1,584,567 BOPS, 792,284 BOPS/JVM. 2. Based on TPC Benchmark C Results on 2 Processor Systems. Cisco UCS C240 M3 High-Density Rack Server with Oracle Database 11g Release 2 Standard Edition One, 1,609,186.39 tpmC, $0.47/tpmC, available 9/27/12 compared to IBM Power 780 Server Model 9179-MHB with IBM DB2 9.5, 1,200,011.00 tpmC, $0.69/tpmC, available 10/13/10. 3. Based on SPECjEnterprise2010 benchmark with 8 total Java EE Server processors on Cisco UCS B440 M2 servers at 26,118.67 EjOPS compared to RISC-based IBM Power 780 at 16,646.34 EjOPS. SPEC®, SPECjbb®, and SPECjEnterprise® are registered trademarks of Standard Performance Evaluation Corporation. TPC Benchmark C® is a trademark of the Transaction Performance Processing Council (TPC). The performance results described here are derived from detailed benchmark results available at http://www.spec.org and http://www.tpc.org as of 1-15-2013. 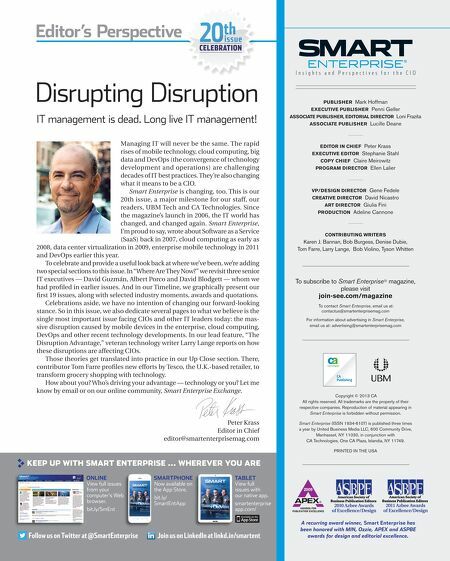 ©2013 Cisco and/or its affiliates. All rights reserved. All third-party products belong to the companies that own them. Cisco, the Cisco logo, and Cisco UCS are trademarks or registered trademarks of Cisco. Intel, the Intel logo, Xeon and Xeon Inside are trademarks or registered trademarks of Intel Corporation in the U.S. and/or other countries. All other trademarks are the property of their respective owners.